Rewarding Times have teamed up with the luxurious Randles Hotel in Killarney, to offer you a 2 or 3 night break with Afternoon Tea, Prosecco, Butlers Chocolates, Late Checkout & Complimentary Autumn Treats for €289. Enjoy 2 nights at the weekend or a 3 night midweek stay in a luxury bedroom with Butlers Chocolates & Prosecco in your room on arrival. Enjoy our famous traditional Afternoon Tea by the fire in The Drawing Room featuring the exclusive Prince & Co. Teas from London. 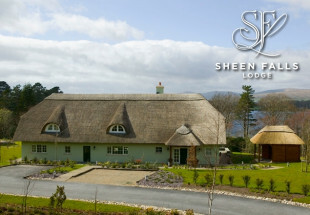 You will also be treated to a cooked to order Irish Breakfast served to your table each morning. Also on offer is a Bombay Gin &Tonic per adult on arrival, a €20.00 Spa Voucher per person, a 10% Food Discount in Kayne’s Bar & Bistro, Shopping Vouchers for Killarney Outlet Centre, Discounted Bicycle Hire and a Guided Tour of Killarney House & Gardens. To finish off your stay you can also avail of a late checkout at 2pm on the day of your departure. 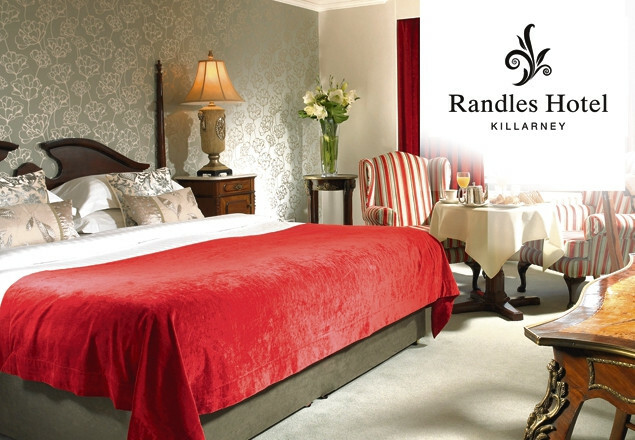 Randles Hotel is one of the best known luxury hotels in Killarney. Overlooking the beautiful Kerry mountains, the hotel is ideally located just a five minute walk from Killarney Town Centre. Over the years, Randles Hotel has established a reputation for its extremely friendly customer service, excellent location and luxury decorated rooms. A truly unique hotel, it is enriched with history. The original Victorian building dates back to 1906 and has been tastefully restored by the Randles family, and is a proud member of Manor House Hotels of Ireland. Family Run – Randles Hotel is overseen by Tom Randles, who with his team will ensure you are warmly welcomed to one of Ireland’s most beautiful towns. Randles Hotel room’s ranges from classic deluxe rooms to beautifully decorated junior suites. The hotel is also the proud home to the Wiggs bar and Conservatory, Checkers Restaurant, Club Sante Leisure Centre and the Zen Day Spa. From the beauty of Killarney's National Park with its majestic lakes and purple mountains to Killarney town centre with its boutique shops, traditional pubs to a wide selection of cafes and restaurants, Killarney and its surrounds really do provide something for everyone. Other must visits include Muckross House, Ross Castle, Torc Waterfall and the Gap of Dunloe. Located on the Muckross Road, Randles Hotel is an ideal base for those who wish to take a trip around the beautiful 180 Kilometres journey of the Ring of Kerry. We can arrange a coach tour for you or hire you a car for the day. You can also take in a Show at Ireland's National Events Centre (INEC) - located less than 1km from Randles Hotel that plays host to national and international shows, performers, comedians, musicals, sporting events and much more. If you are feeling up to the challenge why not take on Ireland's highest peak Carrauntoohil (1038m). For calmer pastimes there is abundant of lake and river fishing activities for the outdoor enthusiast and there are miles of trails for walking, horse riding or biking. For the shopper or Bon Viveur the charming town of Killarney offers many distractions. 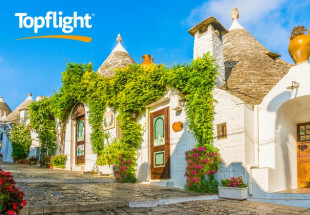 With a choice of Art Galleries, Traditional Craftshops, Elegant Boutiques, Award Winning Restaurants, Lively Pubs and regular events there is plenty to experience. The Randles Hotel team would only be delighted to help you get the most out of your time with us so please do not hesitate to ask us for advice or assistance. Luxury accommodation in a Deluxe Bedroom with a Bottle of Prosecco & Butlers Signature Chocolates in your room on arrival. Freshly cooked to order Irish Breakfast or other options from our breakfast menu. 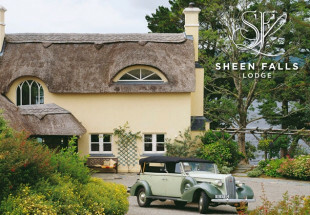 €20.00 Spa Voucher per person. 3 Night Break is valid Sunday to Friday and is Subject to availability. 2 Night Break is valid on all days and is subject to availability. Junior Suite Upgrade is available Sunday to Friday only. Offers are available until March 29th 2019 excluding Bank Holidays and Holiday periods. The price is for 2 people sharing for 2 or 3 nights in a Deluxe bedroom. 2 Spa vouchers of €20.00 per person. Vouchers are valid per treatment on all treatments over €50.00 and are not valid in conjunction with any other offers. Spa Treatments must be booked prior to arrival as availability cannot be guaranteed. Food Discount is available in The Award Winning Kayne’s Bar & Bistro located adjacent to Randles Hotel.